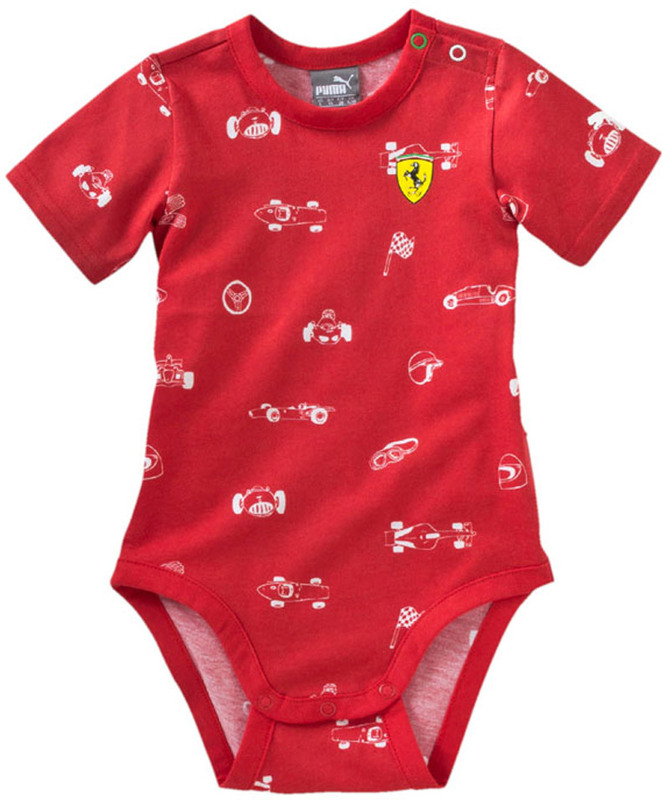 That the cheering in Italy is taken very seriously, almost from the diaper, is confirmed by the famous Maranello racing division – Scuderia Ferrari. 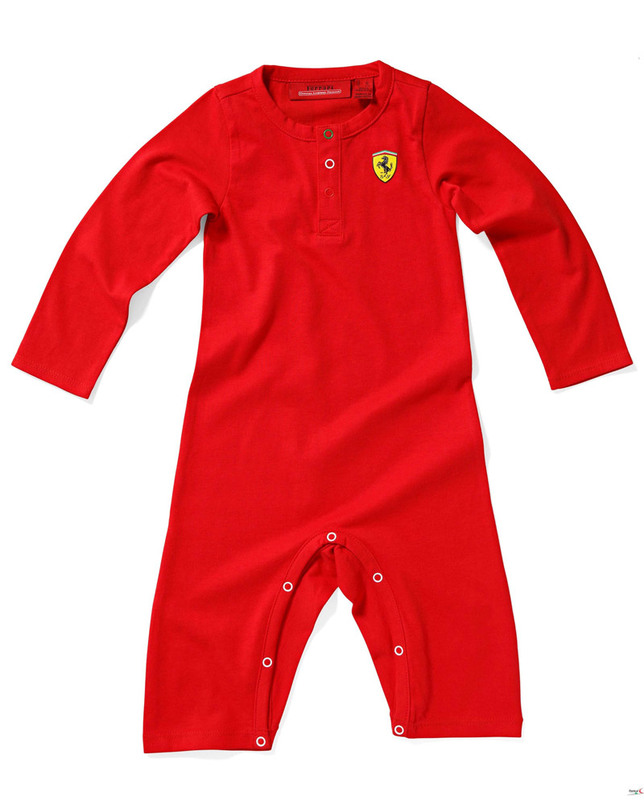 Here is Ferrari collection in a recognizable red color for the youngest Prancing Horse fans. 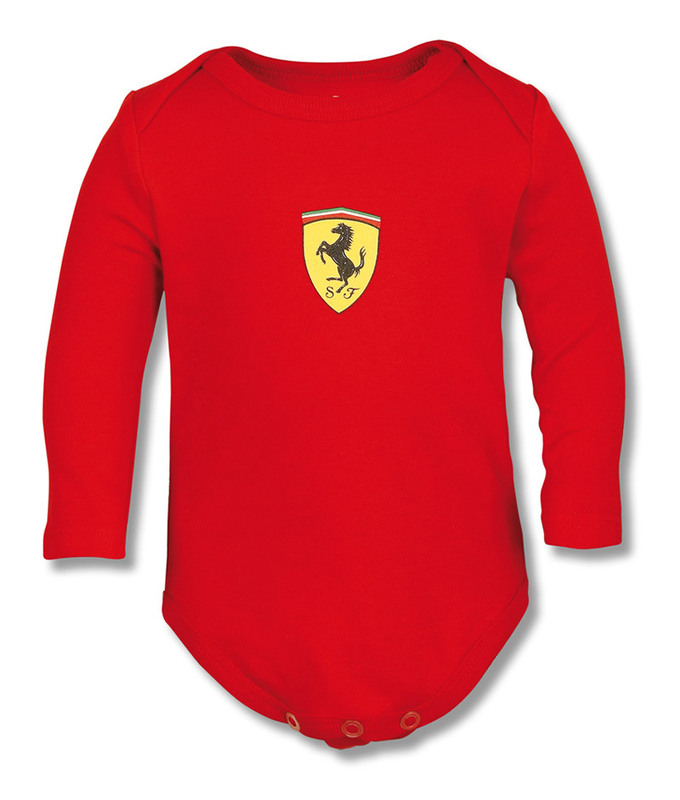 A large assortment of authentic Ferrari kids jackets, winter coats, ski jackets, track pants, hooded sweat shirts, baby grows, onesies, childrens wear and baseball kids for that speacial cute F1 fan. On this occasion we highlight the body suit with practical zipper. For the material, of course, the finest cotton is selected, while the proud parents will have to splash out $70 for it. Match your child with his dad or just deck him out in Puma Ferrari jogging pants set.